Martha is a Houston native who made her way to Central Texas. She discovered yoga after the birth of her first child and it has been the anchor of her self care since. In 2010, she completed her 200 hr yoga teacher training and is currently on her way to completing her 500 hr training. Before teaching yoga, Martha did social work and taught Pre-K. That experience taught her that everyone has a story, learns differently, and has different needs. Her teaching style is to compassionately guide others to find their courage, voice, style, and to just love on themselves. Yoga has taught her to tune into herself and everything around her. Taking good care of herself makes her a Warrior. She hopes that through pain-free and functional movement, students find freedom in their bodies to keep them doing all the activities that make them happy, and to be brave and courageous in finding what works for them. 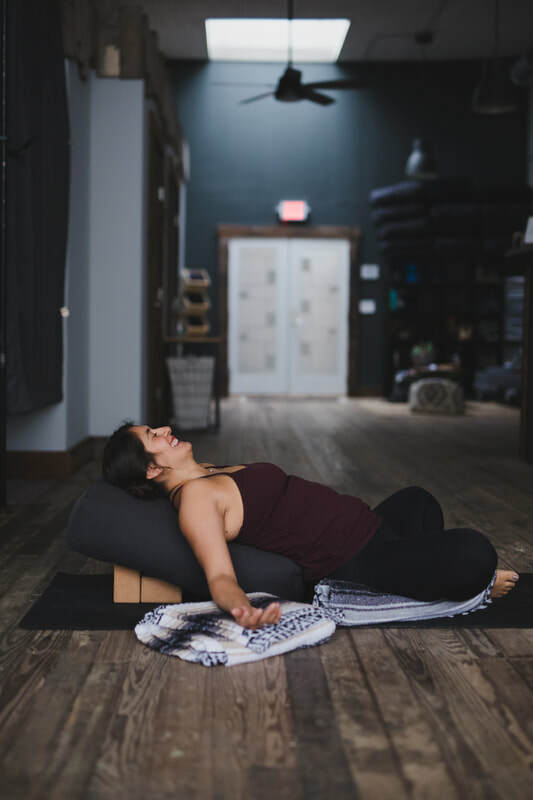 Martha's favorite pose is Apanasana, Supine Knee to Chest Pose, because it stimulates the digestive system and abdominal organs and helps relieve tension from the body in a gentle way. In her free time Martha enjoys reading and going on as many adventures as she can.